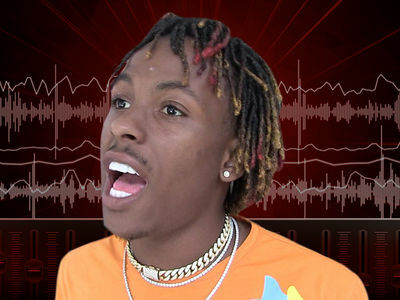 Rich The Kid 'Big Money S***' ... I Don't Need Security!!! 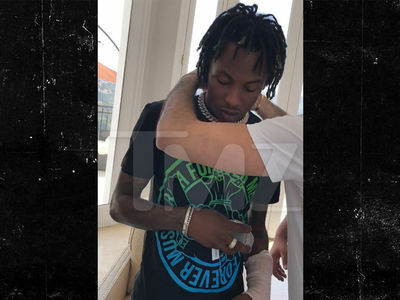 Rich the Kid ﻿could be playing with fire, because he's not letting his recent beatdown by armed robbers stop him from shining with tons of ice, and no bodyguards in sight. We got Rich at LAX Sunday and he was stunting with a $120,000 neck piece and a $78,000 two-tone Cuban link necklace ... and he's basically treating his lack of personal security as a badge of honor. It's pretty standard for Rich when he's traveling the country ... when we last saw him at LAX, he was flaunting $100k cash in his carry-on! We broke the story ... Rich was hospitalized after getting the crap beat out of him during a home invasion by masked gunmen who made off with tons of cash and jewels. Check out the clip ... Rich has no plans to change his flashy lifestyle, 'cause as he explains, he's "big money s**t."